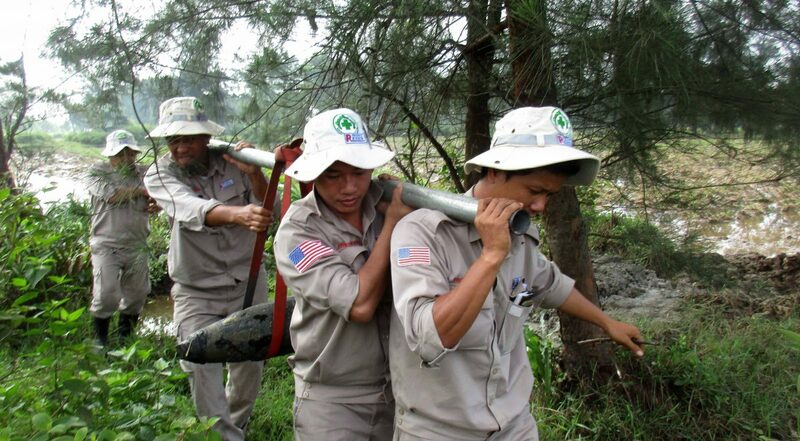 Trieu Phong, Quang Tri (30 May 2017) – An Explosive Ordnance Disposal (EOD) quick response team managed by Project RENEW-NPA today safely destroyed two 8-inch U.S. Navy projectiles, each weighing over 200 pounds, at the central demolition site in Trieu Trach Commune. 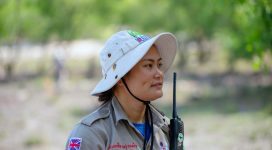 According to Team Leader Truong Van Vien, members of his team were tasked to respond to a UXO callout received yesterday afternoon at the Legacies of War Coordination Center. A villager in Thuy Khe Village of Gio My Commune, Gio Linh District, called the hotline number to report that his neighbors had unearthed two big shells while digging a fish pond. The team found two 8-inch naval shells, which contained high explosives, lying about 150 meters from each other. Because it was getting too dark to deal with the explosives safely, the RENEW-NPA team marked the site as dangerous, alerted local people not to enter the area, and departed until the next morning. The following morning, Col. Hong and EOD Team No. 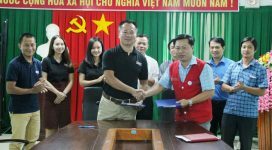 3 returned to Thuy Khe Village and carefully transported the two naval shells to the central demolition site in Trieu Trach Commune, Trieu Phong District for disposal. Just before their lunch break, the team safely destroyed the two naval shells. 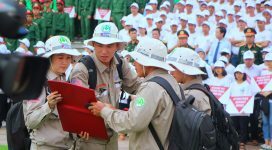 During the first five months of 2017, UXO sightings reported by local people to the hotline have enabled RENEW-NPA teams to complete 248 spot tasks, resulting in nearly 500 items of munitions being safely destroyed.